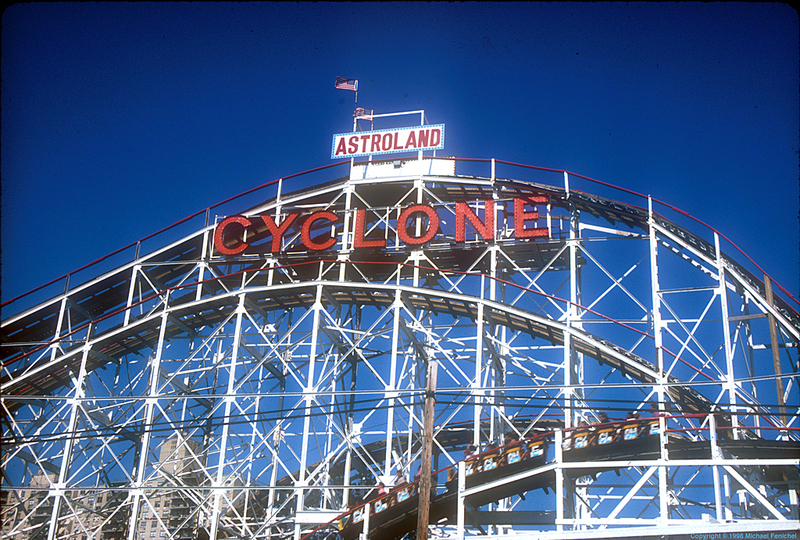 Here is the original Cyclone Roller Coaster, at Coney Island, in New York City (Brooklyn, to be exact). Coney Island is one of the few summer fun places where urban dwellers can get directly to by Subway. You can still get a good hot dog here... it just costs a bit more!